From June 6-9, 2016, the Department of Holocaust and Genocide Studies at Keene State College (KSC) hosted the first in a series of biennial Summer Institutes for Genocide Studies and Prevention. Under the direction of Dr. James Waller, Cohen Professor of Holocaust and Genocide Studies at Keene State and Director of Academic Programs for the Auschwitz Institute for Peace and Reconciliation (AIPR), the Summer Institute hosts university-level professors, post-doctoral researchers, and current PhD candidates for a week-long event that provides an opportunity to develop of curricula and teaching strategies related to genocide studies and prevention. Promote study, research and teaching in the growing field of genocide studies and prevention as a self-standing scholarly discipline that is distinct and independent from the existing schools of academic inquiry. Encourage participating institutions to develop courses, academic modules and foreign study programs incorporating genocide studies and prevention into department teaching. Strengthen institutional capacity in terms of teacher-scholars conducting research in genocide studies and prevention, with an ultimate goal of developing interdisciplinary academic specializations in the field (that is, a major, minor, or area of concentration) at participating institutions. With a cohort of 18 participants and 10 instructors from countries across the globe, the 2016 iteration of the Institute focused on the prevention of genocide and other mass atrocities during the “upstream” phase, that is to say, before conflict has broken out. Doing so involves the analysis of longer-term governmental, historical, economic, and societal factors that can leave countries vulnerable to the potential for mass atrocities, as well as the available avenues for working to mitigate them. The Summer Institute realized this focus through various activities including lectures, teaching and participant-led workshops, presentations on tools and initiatives such as the Early Warning Project, and a capstone simulation activity. Dr. Ashad Sentongo, Director of AIPR’s Africa Programs, taught two modules on the fourth day of the workshop, covering topics related to the teaching of crisis and conflict in Africa and national and regional mechanisms for the prevention of genocide. The Keene Summer Institute was an incredibly enriching experience. Not only did I get to go “back to school” by hearing from a large number of scholars, activists, and policy-makers working in the field, but I was also surrounded by a fantastic array of peers who are also interested in atrocity studies and prevention. 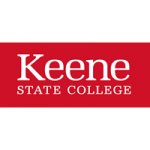 I left my week in Keene with a whole new network of friends and colleagues with whom I plan to work and collaborate on a number of projects in the future. Dr. Waller, who directs the Summer Institute, has also recently celebrated the release of his latest book: Confronting Evil: Engaging Our Responsibility to Prevent Genocide, published by Oxford University Press. Through a multi-part analysis of genocide in the modern world, the book highlights valuable lessons to be learned and presents proven strategies to effectively confront and prevent future atrocities at each of the three distinct stages of the conflict cycle. Confronting Evil presents the argument that preventing genocide and other mass atrocities remains an achievable goal, but only if our collective responsibility to do so is recognized and effectively acted upon.